We all know how hard it can be to maintain your motivation for fitness. We can wake up suddenly one day and feel totally inspired to finally transform our lives – “Right, this is it” we tell ourselves. “No going back now” we think. Then two weeks later, donut in hand, once again no progress has been made. It’s ever so disheartening. We’ll eventually get ourselves back to the gym and start making the breakfast smoothies again, only for us to look around at the buff physiques and think to ourselves – “just how do they do it?”. How do they keep up their fitness for so long? Well, it’s not as hard as you think, here are our tips on how to keep up with your healthy lifestyle long term, and finally, get the results you want! It’s essential you set yourself specific goals you want to achieve – whether it’s fat loss, improving your strength, or building muscle. Whatever it is that you want to accomplish, set a plan for how you are going to reach these goals and stick to them. Remember this goal can be both short term or long term (a year, a month, even a goal for the day!) Organisation and focus is key. Once this goal is achieved, set yourself a new one. Unless you’re one of them strange people who love exercise whatever time of day or whatever the mood you may be in, the chances are exercise feels like a chore more so than often. But this can change! The more you achieve your goals, the more inspired you will be, and the more you will want to wake up at 6 AM. Trust us, you’ll get there. In the meantime, make your workouts fun – find what you enjoy the most, shake up your routines and consider taking up a sport. Exercise is all too often a personal activity. You know the drill – headphones in, world shut out. But exercise can be so much better for you emotionally if you make it social. Consider going to classes and seek group fitness activities. It’s not just about keeping motivated psychologically, keeping your body stimulated physically is just as important. In fact, eating the right food is more important to weight loss and muscle building than exercise is. So learn to choose the right foods to accompany your workouts. There’s plenty of information out there to guide you. 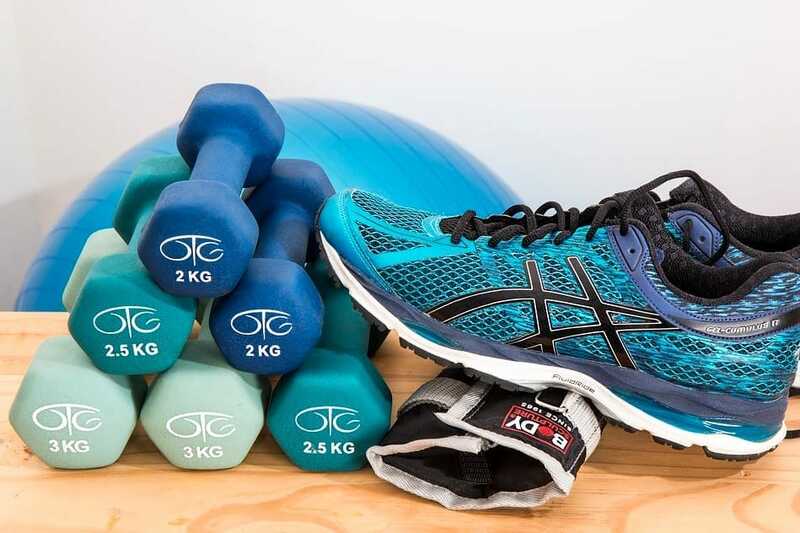 If you’re really serious about getting fit and you’re a bit of an amateur to the fitness game, then perhaps hire a personal trainer – even if it’s for the first month. Their professional tailored advice and private motivation could be just what you need to make sure you get on the right track and stay on it! Next time you’re pondering on skipping that gym session after a tiring day, STOP. Get yourself to that gym. Put on them joggers and get yourself out for that run. Staying motivated is about focussing on what you truly want – do you want that donut? Or do you want them abs? Do you want to feel sluggish from lounging in front of the TV all day? Or do you want to feel energetic and good about yourself? It’s your choice, so make the right one for you.